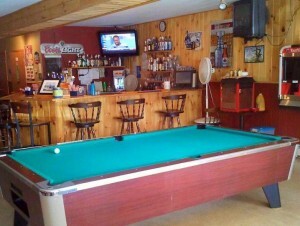 Go to The Hamlet Pub in East Millinocket when you are looking for a good time! The best place to stop for a drink on your way through East Millinocket has been, and is, The Hamlet Pub! Family owned for over 40 years on Main Street in East Millinocket, the local watering hole offers all drinks and beers (with a few surprises) that one might expect. Throw in some free munchies and some pool, great jukebox, large screen TVs and, of course, sparkling conversation, and you get a super night out in East Millinocket! Stop by and say hi to Wakine next time you are driving though and you are sure to be greeted with a smile and a nice cold beer. 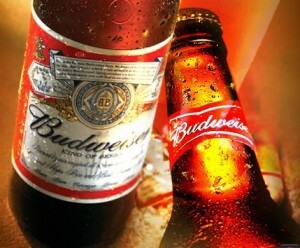 Budweiser and many other types of beer and drinks. Contact The Hamlet Pub, today! Stop by and say hello to the regulars who are as entertaining as the staff. Friendly smiles and great drinks await you at East Millinocket’s number one nightspot. Watch your favorite sports on their large screen TVs and listen to some great music on the jukebox that can’t be stumped. If your favorite song is not included, you can download it directly on to the jukebox making you the DJ that you always knew you could be. Next time you are searching for a great place to hang out, join Wakine, Joyce, Nicole, Amber and the rest of the crew for an unforgettable time on Main Street in East Millinocket, Maine. They are waiting to welcome you with a smile and a drink of your choice. The largest beer selection available is at The Hamlet Pub.